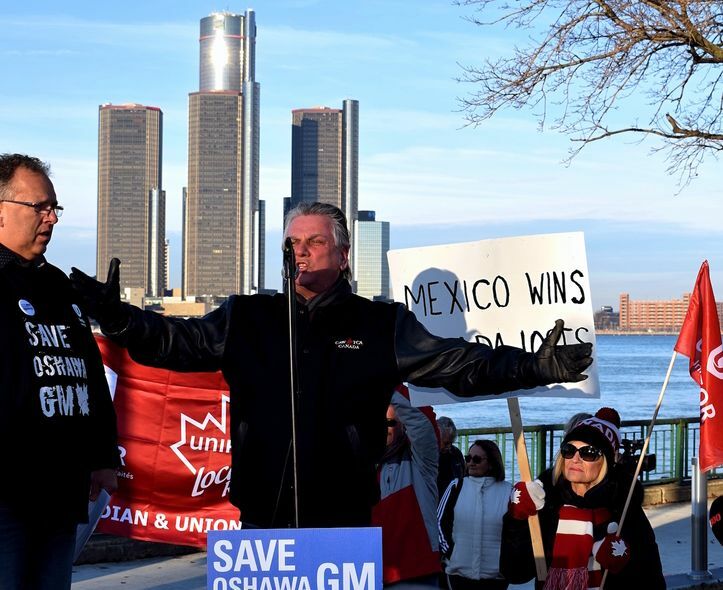 Unifor Local 444 President David Cassidy speaks to members and supports in Windsor, Ont., on Wednesday as the union rallied against General Motors' cutbacks. 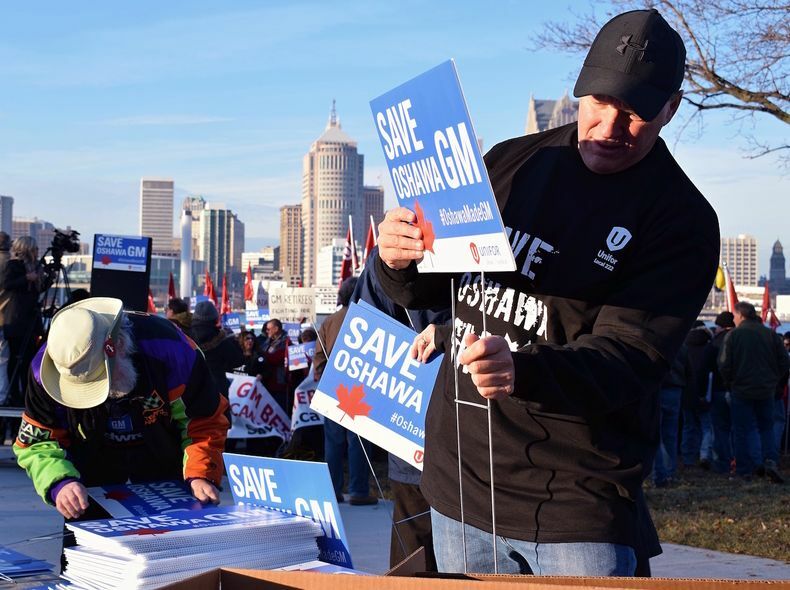 Unifor executive John D'Agnolo gestures toward General Motors' world headquarters in Detroit while speaking to union members angered by the scheduled closing of GM's Oshawa assembly plant. 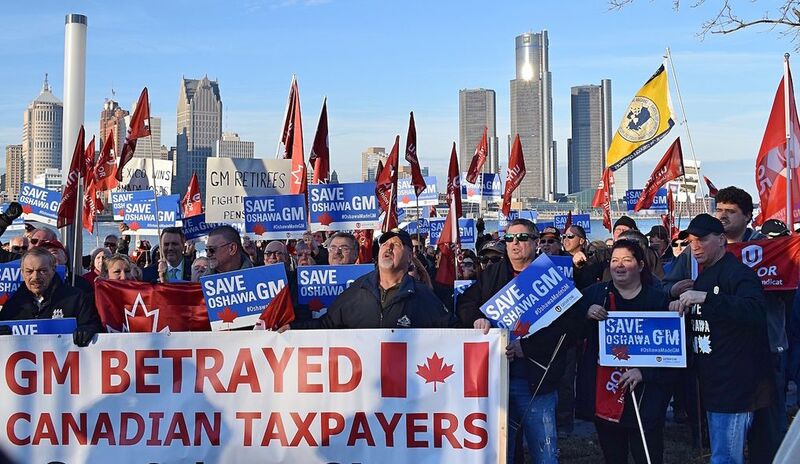 Members of Unior and their supports gather in Windsor, Ont., to protest cuts at General Motors. 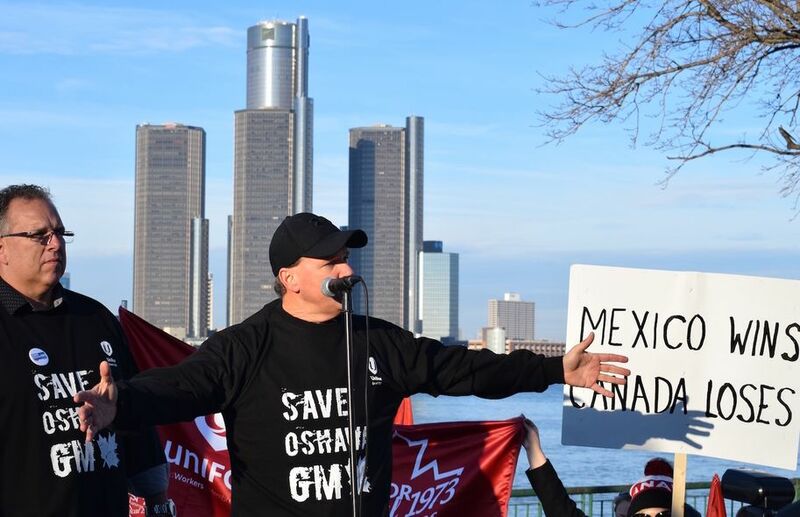 Unifor executive John D'Agnolo speaks to concerned members of the union and their supporters during a rally against GM cuts. 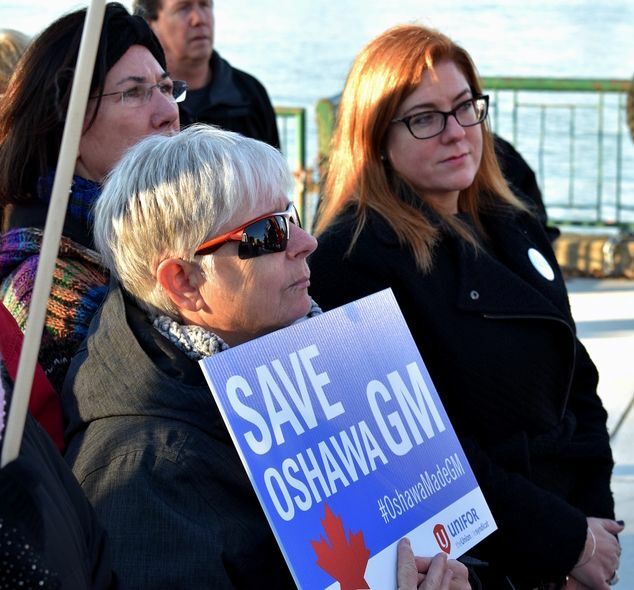 A woman holds a "Save Oshawa GM" sign while flanked by NDP MPP Lisa Gretzky, left, and NDP MP Tracey Ramsey. 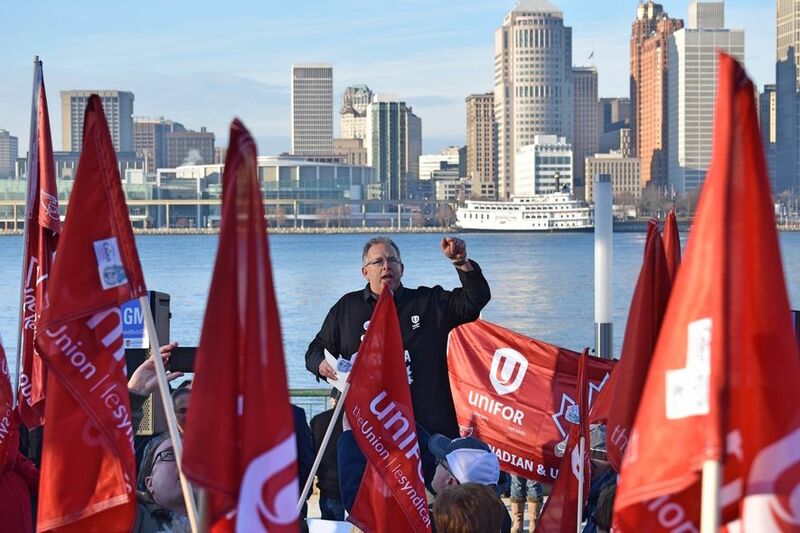 Former CAW president Ken Lewenza addresses Unifor members concerned about GM cutbacks at a rally in Windsor, Ont. 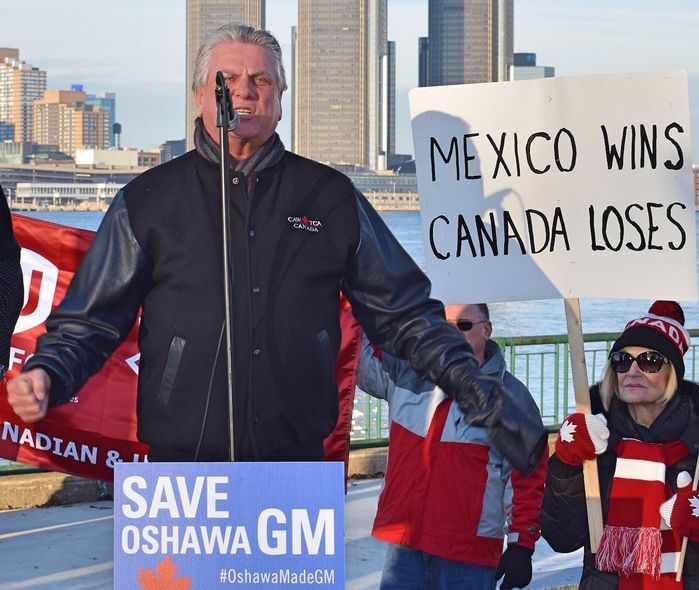 Former CAW president Ken Lewenza gets enraged at a Unifor rally in Windsor against GM cutbacks. Unifor executive John D'Agnolo assembles lawn signs against GM cutbacks at a rally in Windsor, Ont. 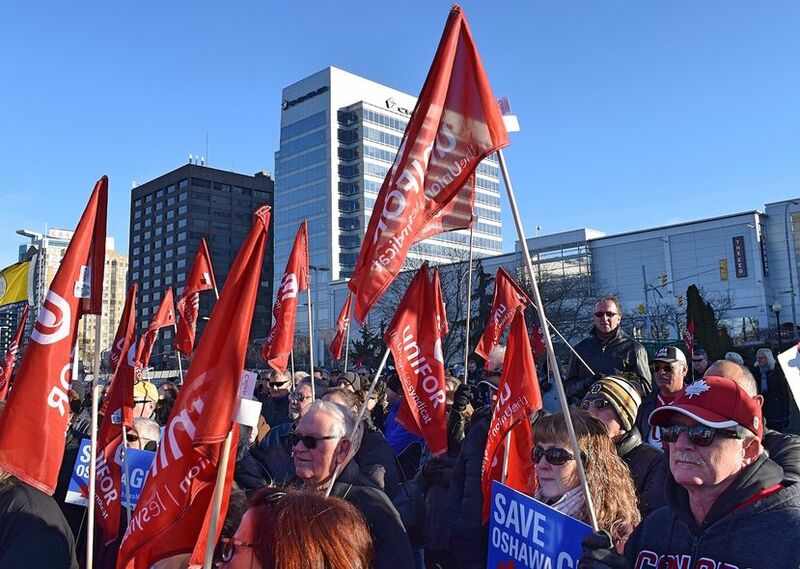 Members of Unifor and their supports chant "you owe Canada" to General Motors in Windsor, Ont., during a rally against the automaker's planned cuts. 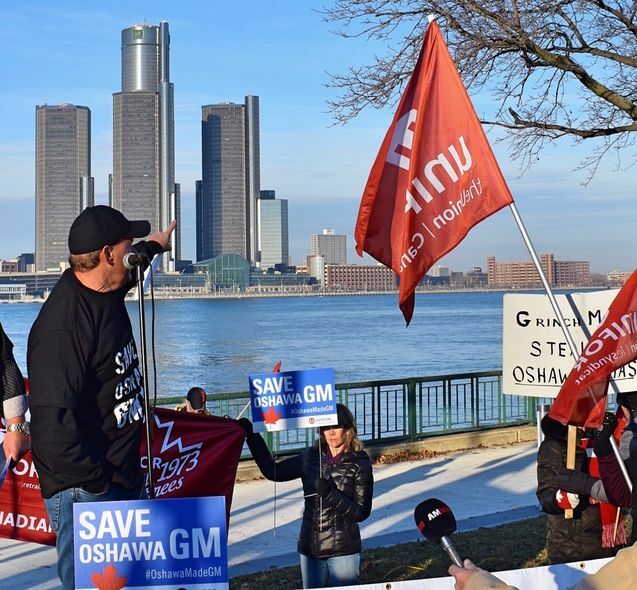 Unifor members rallied in Windsor along the Detroit River and in the shadow of General Motors' world headquarters on Wednesday to protest the automaker's cuts.